When you need help cleaning up water damage, let the professionals at 911 Restoration New Jersey rescue your home from permanent damage. Flooding can happen to anyone, whether you live in a rainy climate or a desert area, rain isn’t the only thing that causes water damage in the home. Pipe Bursts, old plumbing, a leaking washing machine hose and a bad drainage supply can all cause water issues. The Sayreville water damage team at 911 Restoration New Jersey knows exactly how to fix any type of flood situation, no matter how severe the damage. Their 35 years of experience gives our water extraction specialists the know-how to restore your home. We know quick service is a requirement when dealing with water. Getting to the home and starting the restoration process quickly and efficiently is key to preventing permanent damage, as well as a mold infestation. The water damage Sayrevilles pros are equipped with the most advanced technology, making them prepared for any flood or leak issue. Plumbing issues are a major cause of home flooding. When you have faulty drainage systems, old pipes or unnoticed leaks, your home is susceptible to water damage. In order to prevent this from ever happening in your home, there are some steps you can take to manage your loss prevention if water invades your property. 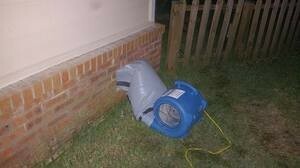 Check pipes yearly for condensation, leaks and corrosion. Keep an eye on your water bill. If from one month to the next it is considerably higher than you may have a leak. Get your pipes checked if you notice discolored water coming from the faucets. Make sure your pipes are insulated to prevent bursts during cold weather. Do not keep garden hoses connected during the winter months. We understand that when you are faced with water damage you may have some concerns, but the water damage Sayreville crew will reassure you that they will get your home back to its beautiful self in no time. Their IICRC certification proves to customers just how capable we are at home restoration, offering top-notch work at competitive prices. The Sayreville water remediation offices are opened 24/7/365 in order to dispatch service agents to your home within 45 minutes of your emergency call. We want all of our customers to know that they are our main priority. 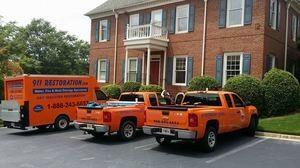 We want you to be confident that our flood cleanup experts will get your home clean and safe. 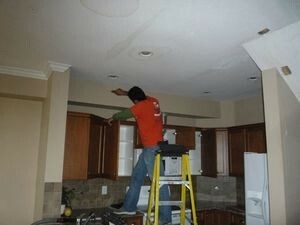 We offer all of our customers free water damage estimates. That way our Sayreville water damage techs can begin work as soon as possible, without causing you concern about cost or hidden fees. We also work with all major insurance companies in an effort to keep your out-of-pocket expenses to the minimum. If you find yourself dealing with a leaking roof or a flooded basement, call the water damage Sayreville professional with 911 Restoration New Jersey for help today!